"The Hager VML90610CUSPD High Integrity consumer unit has been designed to answer the potential constraints imposed by the 18th Edition Wiring Regulations. Supplied complete with 2 x 100 amp RCDs and integral Type 2 Surge Protection Device it offers a premium circuit protection solution and total peace of mind that all aspects of the Regs have been satisfied without any need for further risk assessment. 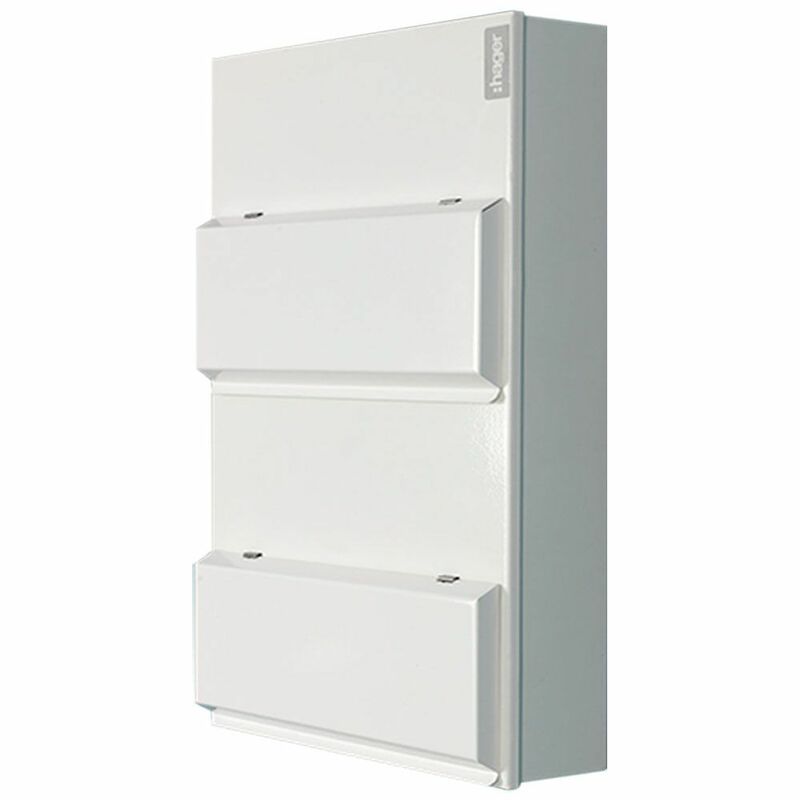 The VML90610CUSPD has loads of features which set it apart from other duplex boards: It offers 'High Integrity' protection with three neutral bars, allowing for RCBO protection of mission critical circuits and 24 fully configurable ways arranged over two rows, with 6 ways on the top and 10 on the bottom. It has knock outs top bottom and rear, Multiple fixing points, No restrictions under the DIN rail, Cable entries positioned for easy access to devices, Cable entry protectors to prevent damage to cable caused by sharp edges, Terminal bars are top mounted allowing for easy cable dressing , 'Snap-able' bus bar means one less tool and speeds up install. It's a great high integrity consumer unit."